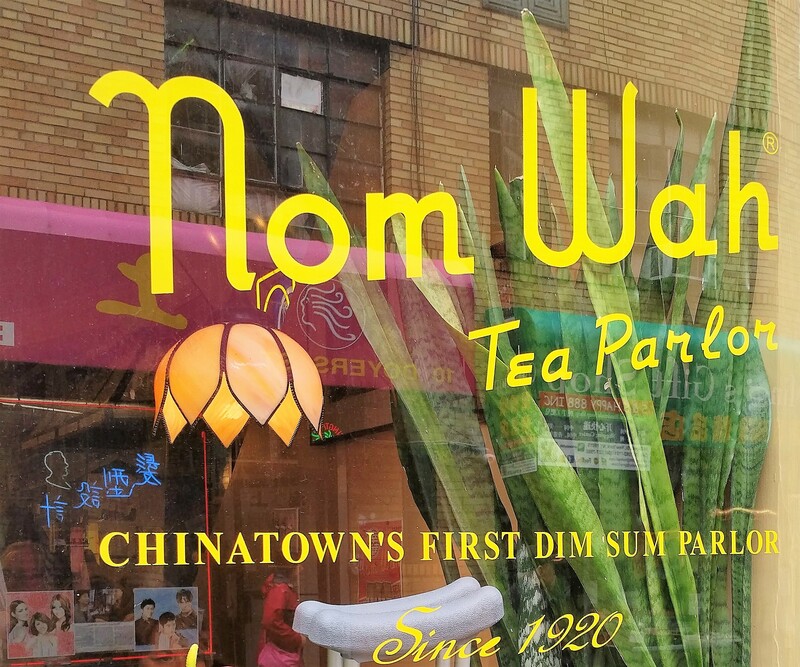 If you’re ever in NYC’s Chinatown and looking for a quick bite, there is an interesting restaurant I’d like to bring to your attention–Nom Wah Tea Parlor. The place offers popular dim sum selection and have some excellent teas to choose from. Teas are ordered by “pot per table”, meaning if there are two people at the table you’d need to decide what tea to order. Waiting staff will explain to you that you can only have one pot per table. It’s all about sharing. 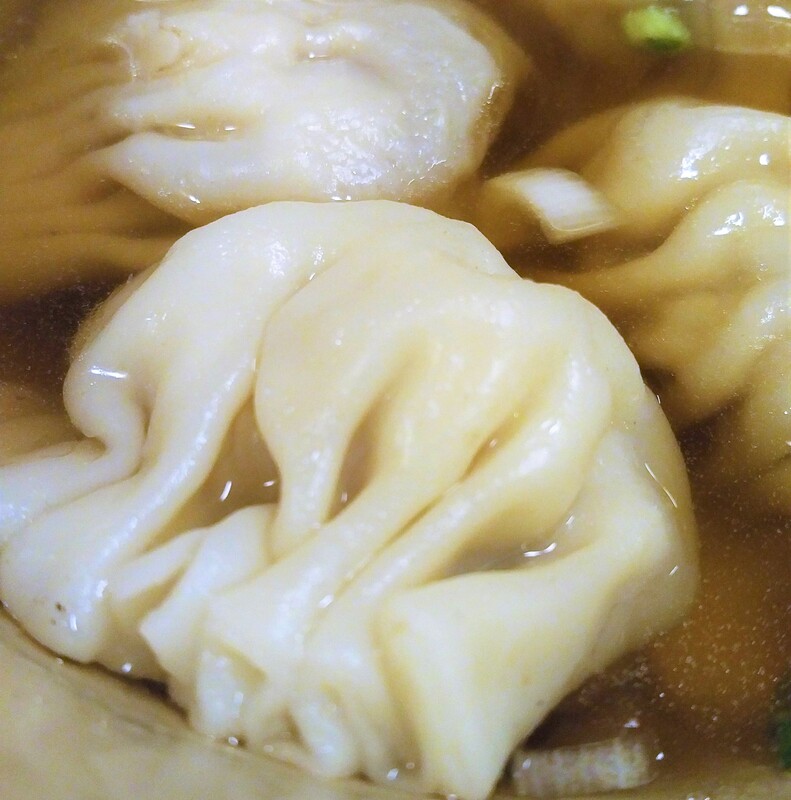 The original restaurant opened as a tea parlor and bakery in 1920 at 13-15 Doyers St. and later added dim sum to its menu. You can find dim sum staples here, like Shrimp Siu Mai ($5.25 for 4) and Turnip Cakes, as well as less known but worth trying out options, like Shrimp & Snow Pea Leaf Dumplings ($5.25) and Stuffed Eggplant. My absolute favorite appetizer here is Shrimp & Bacon Roll ($5 for 3). 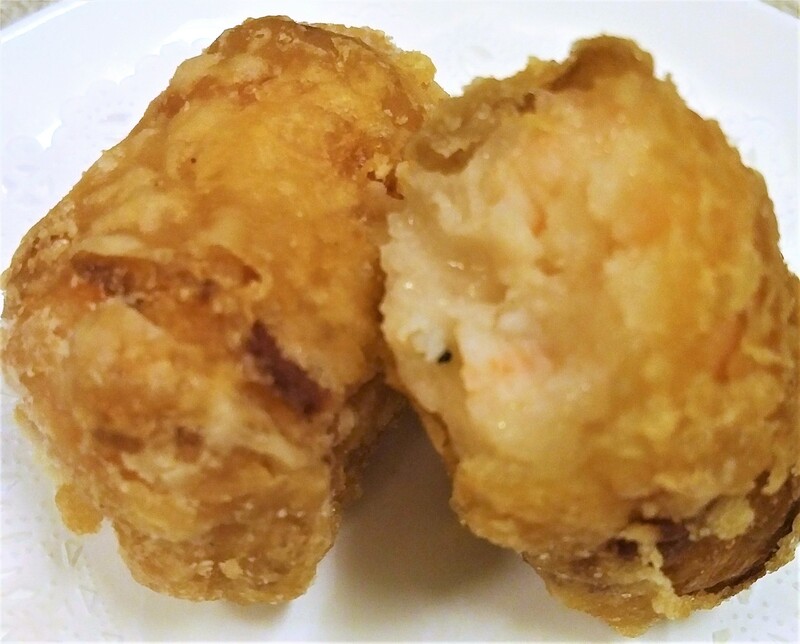 The roll consists of shrimps, wrapped in bacon and deep fried until beautifully golden, and deliciously crispy. 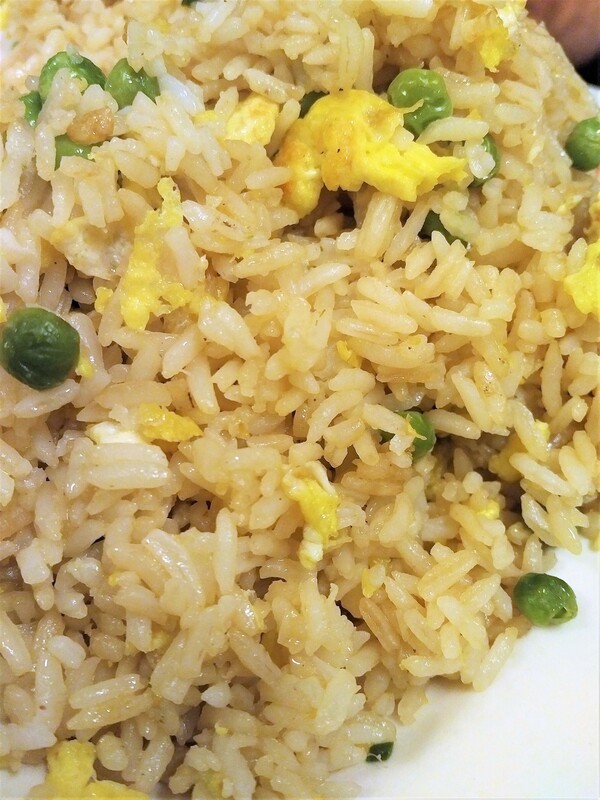 In addition to dim sum, Nom Wah Tea Parlor has fried rice and noodle dishes on the menu. These dishes come in a much larger portions than dim sum. This is to say, you might want to share these (or take home). Another helpful note: This is a cash and American Express restaurant only, so come prepared.